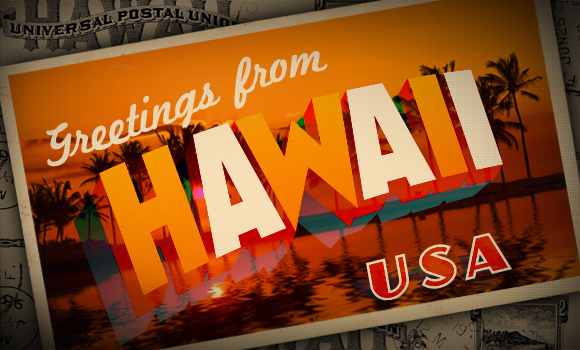 “Greetings from Hawaii!” is set against palm trees that overlook a glasslike ocean. You flip the postcard over, and there’s a message scrawled in a way that makes you feel like the person who sent it was in a hurry to get back to whatever he was doing, but wanted to share a piece of his experience with you. There are subtleties in the way words are written, blots of ink where a human made mistakes and postmarks on top of stamps that let you know that the card has been places. We’re celebrating Send a Card to a Friend Day on February 7, and as Ben touched on in his post, there are ways you can make your printed mail piece stand out that just can’t be done digitally — direct mail still has a place in this digital world. If your company is thinking about distributing a printed piece, here are a few things for you to consider before you stick a stamp on it. Unless your recipients pick up a phone, enter a custom URL, send back a business reply card or respond to you directly, you might never get a real sense of a direct mailer’s influence. This can make direct mail tricky to justify. How will you know if it’s working if you can’t track it? Even if you do have the means to directly track engagement, you should cross-reference your direct mail arrival dates with other metrics. If you use a customer relationship management system, compare your direct mail dates with your website traffic, social media followership, phone calls, etc. You should be aware of when and how you’re moving beyond awareness, into engagement. Writing, designing, printing, distributing. Those are the costs of direct mail, whereas a mass email can be written and distributed for a relatively insignificant amount. The cost of direct mail can be daunting, especially when there are stats that back up email marketing’s ROI. The Direct Marketing Association claimed that email marketing’s ROI can be up to $40 for every $1 spent.1 But one must remember that cost-effectiveness is not about reaching as many people as possible, but the right people in the right ways — something a well-thought-out direct mailer can do. A mailer can make a tangible impression. That’s important. And as you can see in Ben’s post, there are some unique ways to arouse the senses that pixels behind a piece of glass just can’t. A physical mailer can put your presence in the room. What can you do to make sure that your presence lingers? What can you write that will keep your message on your potential clients’ minds, or what can you include that will keep your logo sitting on their desks? Who are you targeting? Do these people even pick up or sift through their own mail? In the B2B domain, a mailer might not even make it into your intended recipient’s hands. Then again, it might have a better chance than an unsolicited email. Even if your recipient dumps a direct mail piece in the wastebasket, it’s made more of an impression than an unopened and deleted email. The size of your audience is also a factor in feasibility. Is getting a well-thought-out and dimensional mailer into the hands of 10 people more important than getting an email into the inbox of 1,000? Not every direct mailer gets delivered to a personal address. Even in B2B industries, these pieces might not have to go through the mail. For example, door drops at hotels are a way to tell show attendees where your booth will be at right before they head out to the trade show. Belly bands and inserts are surefire ways to get in front of a print publication’s subscriber base. The delivery doesn’t have to be conventional. There are ways to get a physical piece in your prospect’s hands without postage. How can you catch your audience at the right time and place? Can you plan your mailings around events or times when visibility will be most important? Is what you’re distributing the first of a series? If so, will it be apparent to the recipient? How will you determine the intervals between mailings? Among Americans, 73 percent reported that they prefer direct mail to Internet communications because they can read the mailing at their leisure.2 How can you leverage that? What do you want your recipient to do? Call? Go to a landing page? Just be cognizant of your brand? Some messages and actions you’re trying to provoke from recipients are better facilitated through some media than others. Whatever you’re trying to do with a direct mailer, you should begin by identifying the recipient’s intended action, develop the mailer to facilitate that action and then track results if you can. As forewarning, I’m going to be subjective here: There’s a little something extra to direct mail. No matter the form, it (generally) costs more to put a tangible piece in someone’s hands, and they know it. There’s still a tinge of anticipation when they sift through the mail and discover what’s there, whereas emails can feel pervasive, even intrusive at times. A direct mail piece is ready when they are, but not before. It took its time to get there. It worked for it. It can wait until they will be more receptive to what it has to say.